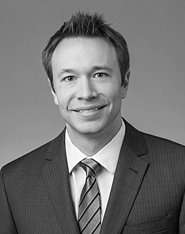 Brett Johnson co-founded First Light and is portfolio manager for the First Light Convex Strategy. In addition, as a senior research analyst, he plays a significant role in the execution of the firm’s investment processes, identifying and analyzing prospective and existing portfolio investments for all First Light strategies. Johnson has been involved in the research and selection of small-cap investments since 2005. Prior to joining First Light, Johnson worked closely with Arens to help market and support distribution channels for the health care-focused investment strategy at Kopp Investment Advisors. He also was a research analyst at Kopp, where he was responsible for stock selection in the consumer discretionary, consumer staples and energy sectors, as well as a co-portfolio manager for the firm’s all-cap health care investment strategy. Before his work at Kopp, Johnson held investment management and operations positions at Piper Jaffray and Rocket Capital Management. He earned the Chartered Financial Analyst® designation in 2009 and graduated from Cedarville University with a bachelor of arts degree in finance.